The new builds can be downloaded from the Apple Developer Center, or for devices that are already running developer beta versions of the operating systems, an over-the-air update is also available. The public beta variants typically arrive within a few days of the developer betas, and are accessible from the Apple Beta Software Program website. The latest beta releases arrive one week after Apple distributed the second generation of all four of its main operating systems. Apple issued its third developer beta of macOS Mojave 10.14.4 on Monday. The third iOS 12.2 beta is build number 16E5201e, replacing the second build, 16E5191d. Apple's third build of watchOS 5.2 is build number 16T5201c, up from the last version, 16T5191d. The new third build of tvOS 12.2 is build 16L5201d, taking over from the second build 16L5181f. The increment in version number suggests there to be some feature updates in each operating system as part of the new builds. While not the headline versions expected from the milestone releases, the changes are thought to be substantial enough for most users to notice. 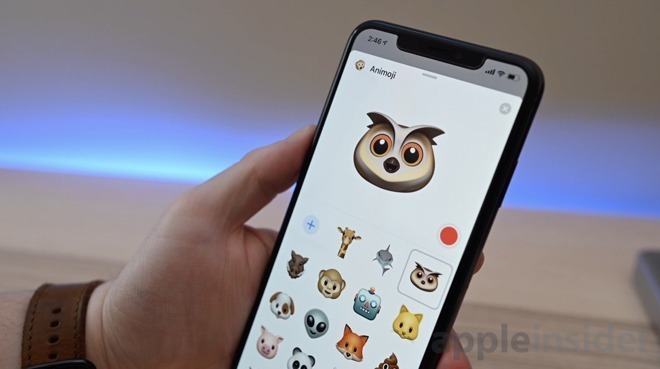 For iOS 12.2's second beta, Apple introduced four new Animoji characters, changes to Control Center, a change to the lock screen, and AT&T's questionable "5G E" connectivity icon. The first beta introduced a redesigned Apple TV remote, alterations to the Wallet app, TV support in HomeKit, and other smaller changes. AppleInsider, and Apple itself, strongly suggest users avoid installing betas on to "mission-critical" or primary devices, due to the potential for data loss or other issues. It is instead recommended to install betas onto secondary or non-essential devices, and to ensure there are sufficient backups of important data beforehand.